16oz. Bell Mugs - Bright White. A unique style of mug with a wider base and elegance handle. 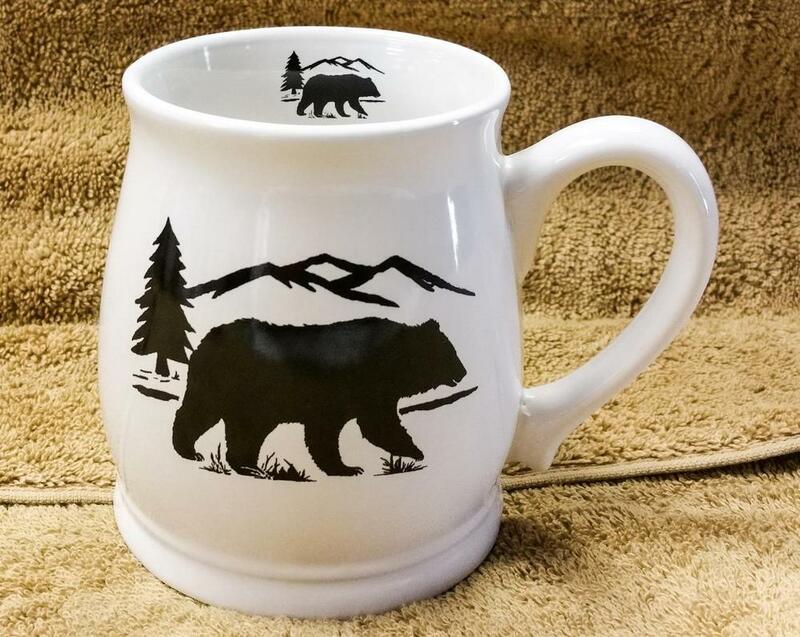 Each mug is decorated by hand with the Bear and Mountain Silhouette. This mug also includes the artwork on the inside lip.